This show has a lot of problems with it with one problem being that the story sounds a lot better than how it was executed on the television screen. This show has a habit of being good for five or so minutes but then they switch to a scene that is bound to annoy you for the next fifteen minutes, if you were to be watching this on television you will be changing the channel immediately before it starts to get good again. Action in this show is good but can be a lot better as a huge problem I have with the action scenes is that they like to overly use the "shaky camera" effect during the battle scenes that was made famous in the Michael Bay portrayal of Transformers (the live action films). The shaky camera effect looks very awful and out of place to the point that it made me dizzy and I wanted to turn it off. 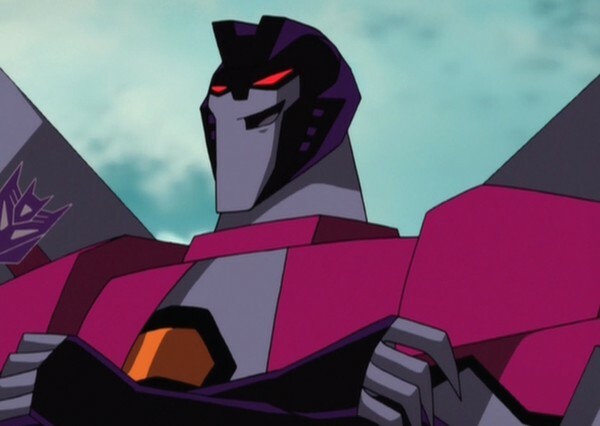 Another issue I have is that the Decepticons barely turn up to fight the Autobots and instead we get goofy villains that are more like rejected "Ben 10 (2005 - 2008)" characters like: Angry Archer, Nanosec, and Professor Princess which are all very awful characters. When we do get Decepticons in the show it does become a much better show but we just don't get enough of them. Some characters I was surprised to see in this show was a quick cameo from Kremzeek (from "Transformers G1 (1984 - 1987)") and a character called "The Headmaster". The Headmaster is a character that uses a Transformer head that can attach itself to a body and can also be used as a stand alone robot as well. It was great to see a modern version of this Transformer (which originally appeared in "Transformers G1: Season Four (1987)) if it weren't for the character that controlled it. The pilot of The Headmaster is an annoying teen-aged gamer that constantly speaks in "1337 Speak" and it will really get on your nerves. 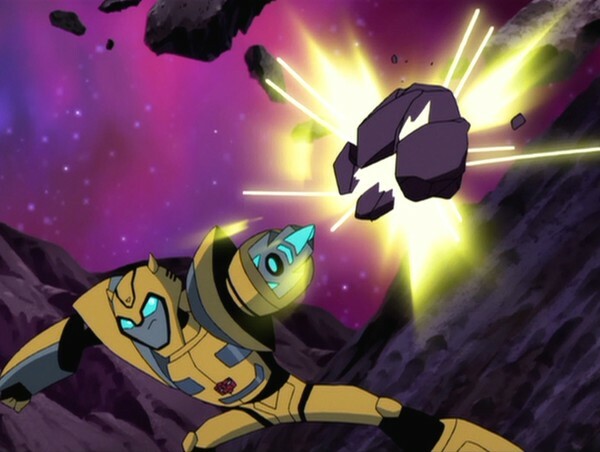 The Autobot characters don't sit right for me in this adaptation of The Transformers as instead of being these heroic robots that we have seen in the past we get rookies that aren't very wise and allow mindless destruction of property which isn't very heroic at all. I did like their human companions a lot better but they aren't enough to make this show good on it's own. Another thing I liked about the show was the humor as it was surprisingly genuinely funny and did distract me from the parts that I disliked about the show. I'm mixed with the artwork of the show as I am not a fan of most of the character designs they used. 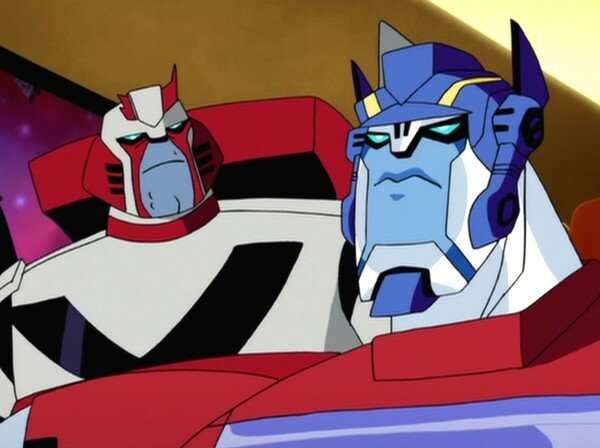 My main problem is that most of the Transformers do not look like robots but more like humanoid aliens instead. The designs I did enjoy were the bulky robots and the Dinobots which come pretty close to their "Transformers G1 (1984 - 1987)" versions (the Dinobots that is). The design for Megatron and Starscream were pretty okay but nothing really all that special. The way the human characters were drawn was very weird as they are all done in different cartoon styles like the faux-anime style used in "Teen Titans (2003 - 2006)" and designs that looked like they were ripped straight from a Gorilaz music video. I wish they did all the humans in one cartoon style as it makes the artwork look way more consistent. Backgrounds weren't bad with a look that reminds me of the DC Universe action shows done by Warner Brothers. I am also mixed on the animation as the action scenes are animated decently but the mouth movements are very badly animated and looks very choppy. The English voice acting was pretty average with the main problem being that most of the voices did not match up with the characters at all. 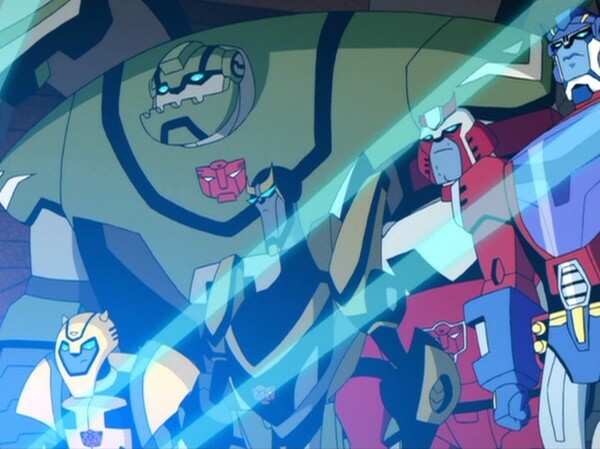 They got some of the voices right like Starscream, Grimlock, and Megatron but the rest could've been done much better. I didn't mind the soundtrack in this show as they did go together with all the scenes very appropriately. There's a very small amount of special features that include two bonus mini-episodes. 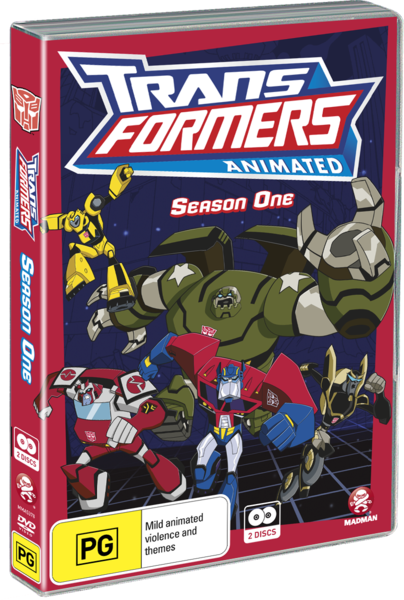 The first episode is about Optimus Prime trying to teach a class of kids about Autobots but all the kids just keep on asking him is to transform. While it sounds like that it could be a great segment you will be disappointed as it was executed very poorly but it was somewhat watchable. The second one has Bumblebee and Prowl drag racing near the sewers and this one was just terrible, not funny, didn't go anywhere, and was pointless. There is also an art gallery showing off character designs that will appear in this show's second season. I would've rather some video footage showing off season two as the pictures that are shown aren't different to the characters that we saw in season one. Overall this show is flooded with too many problems for me to recommend. Show the kids some of the original Transformers (or even Armada and Beast Wars) instead.